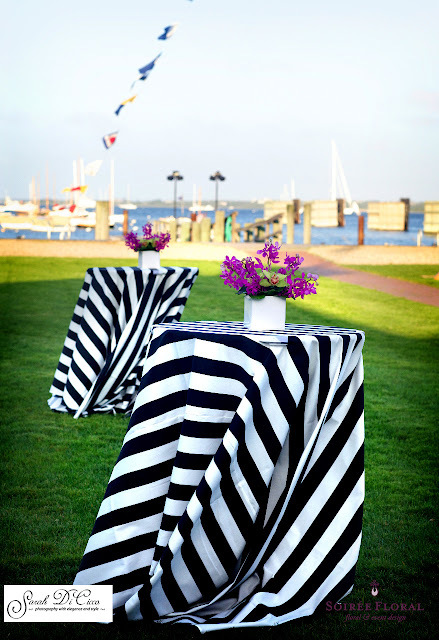 Linens are a great way to add detail and dimension to a table - whether it's for a party, a rehearsal dinner or a wedding. We're always excited to introduce a fun print or texture to a table. It accentuates our arrangements and really brings the whole look together. This ivory colored pintuck linen is elegant but adds a great element to the finished look of the table. (linens and table settings by Placesetters). This rosette linen (a favorite of ours, by the way) makes a real statement. It's lush, feminine and takes the table to a whole new level. Would be lovely as a cake table linen! (It also comes in white and ivory, too! 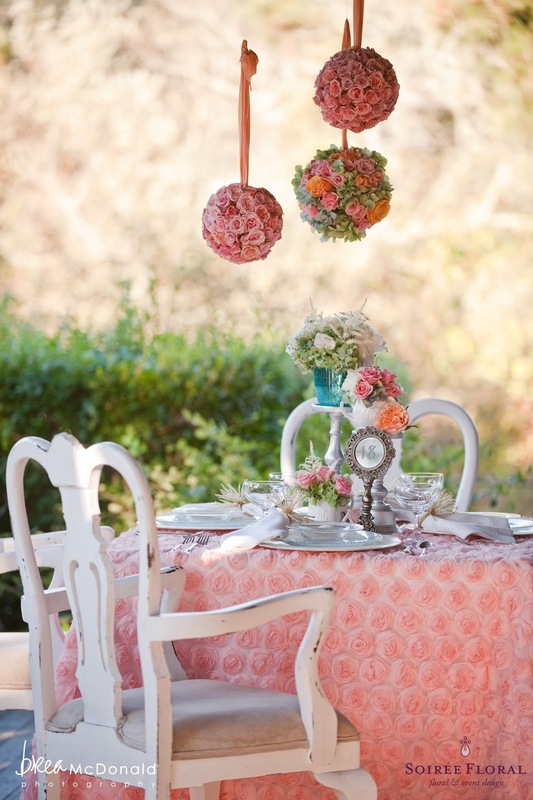 Linens and table settings by Placesetters). This soft, sagey green linen has sheen and a little bit of texture up close; definitely a subtle statement linen. 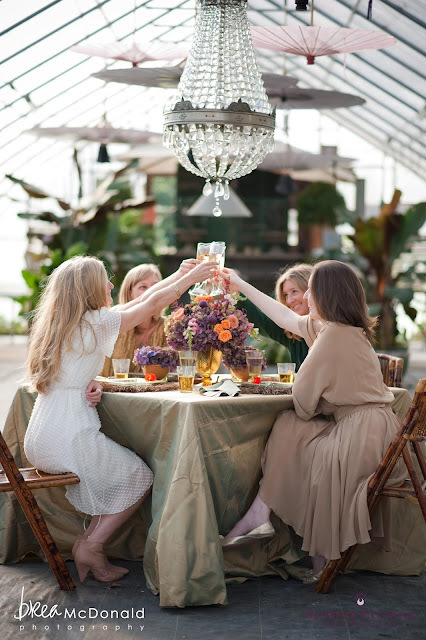 (This image is from our Fall-inspired Bridal Shower shoot that was featured in WellWed. See more images on our website. Linens and table settings by Placesetters). 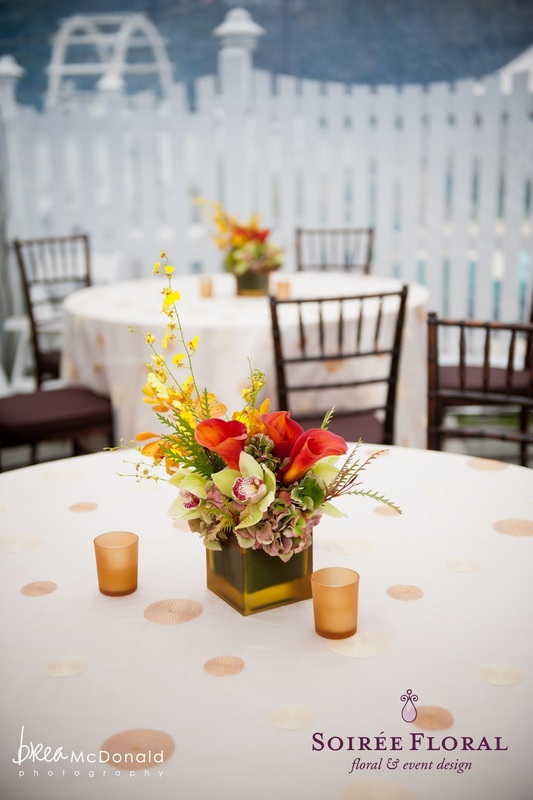 This gold, glittery linen coordinated perfectly with the modern design of the flowers at this Great Harbor Yacht Club wedding. You can see here that the whole room sparkled and shined and really took the decor to the next level. Another perk? The room glowed that evening! The sequins reflected the warm glow of the candlelight and created an even more romantic environment. This hot pink chevron was just the pop of color needed for this cocktail hour. This gold and copper circle-stitched linen is a fun one for cocktail tables! 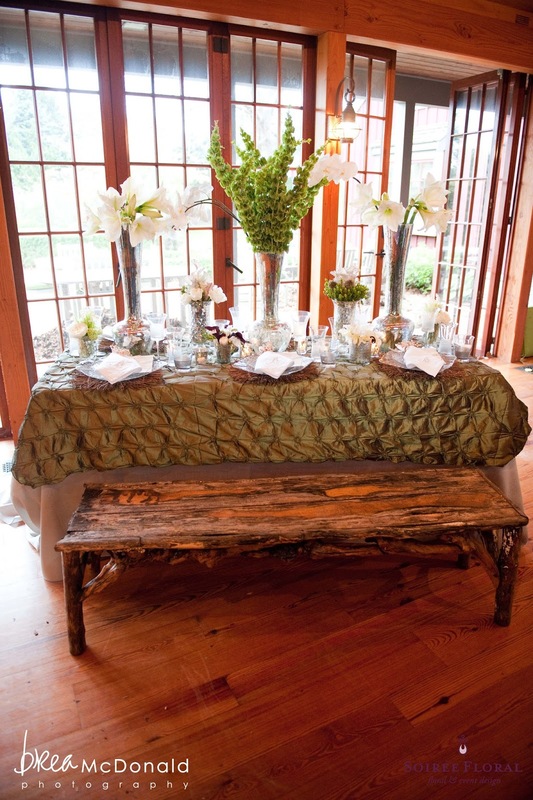 We love how it accented our amber votives and our fall-inspired arrangement. 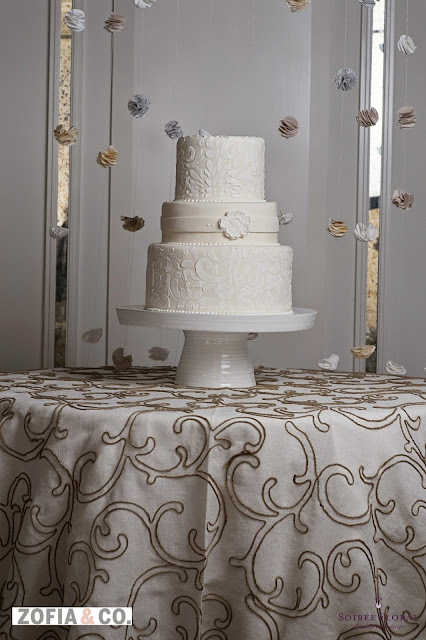 This burlap and twine textured linen is elegant and bold - great combo, right? Lovely on the cake table, would also be great on a dining table as well. (Linens by Placesetters). 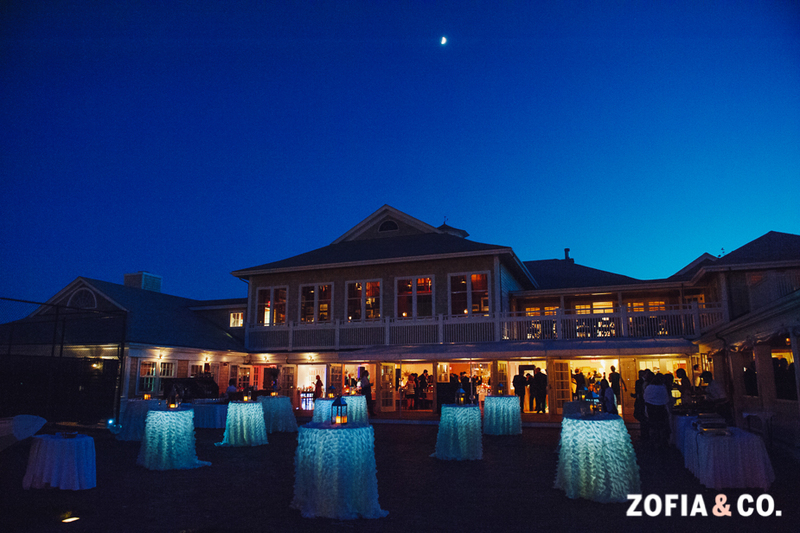 We'll end today's post with a dreamy night shot by Zofia and Co.. This is a great example of a textured linen (these are fluffy, three-dimensional and petal-like) that was elegant and soft during cocktail hour, but takes on a whole new look when up-lighting is added to create drama! So what's your style? Subtle with texture? Color and pattern? Something in-between? Let us help you choose and create a cohesive look for your cocktail party, rehearsal dinner or wedding day!